Auster C-GCID now hangs on display above the Museum&apos;s Gift Shop. 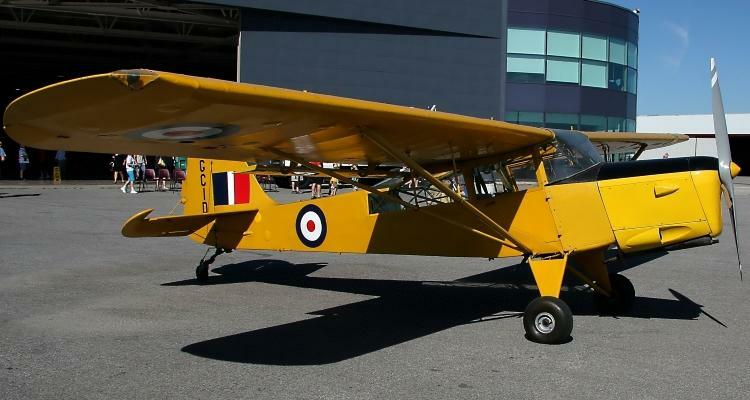 The Auster AOP was developed as an army observation/light communication plane. 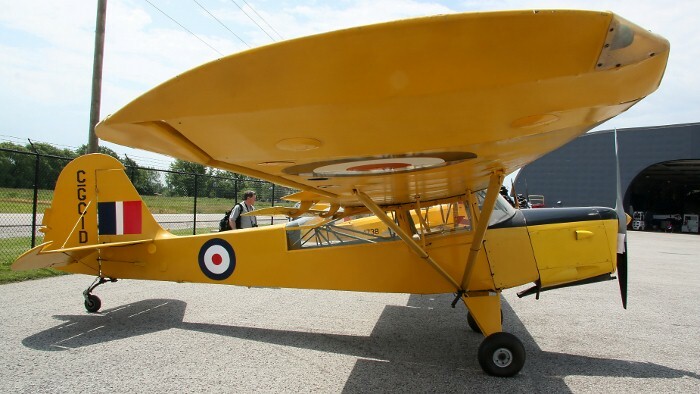 Auster-Beagle in the UK built over 1,600 Mk. I-Vs for the British Army, which used them in their Air Observation Post (AOP) squadrons. Although the pilots were Royal Artillery officers and the squadrons controlled by the Army, the aircraft were maintained by RAF ground crew. Besides artillery spotting, the Auster was used for photographic reconnaissance, supply dropping, casualty evacuation and liaison duties. Its short take off and landing (STOL) ability allowed it to operate from quite small landing fields. RCAF Squadrons 664, 665 and 666, formed in 1944-45, flew Auster AOPs. 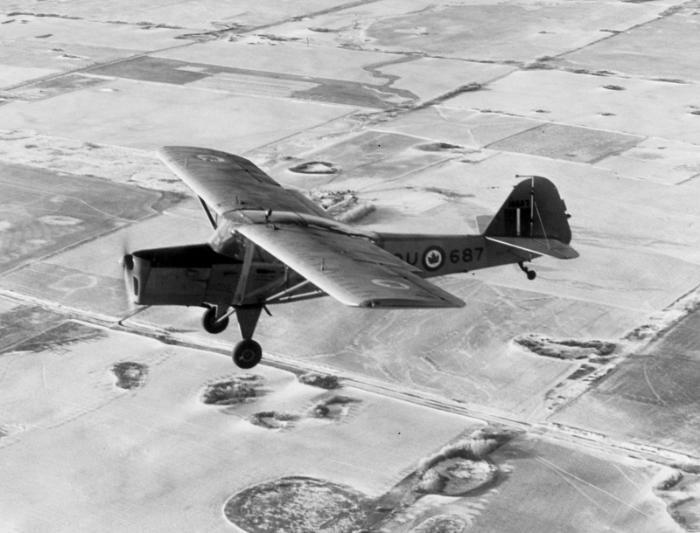 In 1948, the RCAF purchased thirty four Auster Mk. 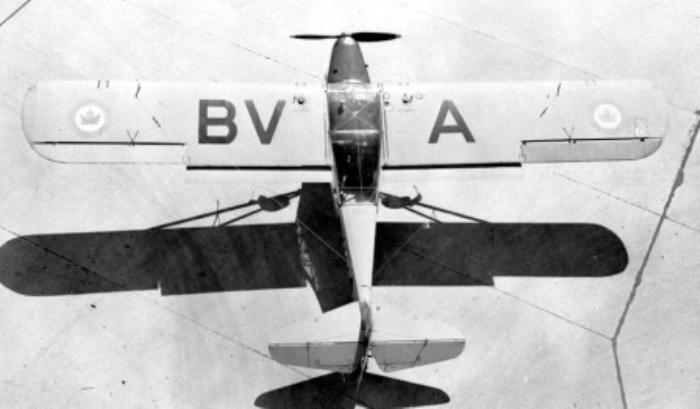 VIs, an improved model with a de Havilland Gipsy Major engine, increased fuel capacity and a longer undercarriage. The first of these aircraft served with No. 444 (AOP) Squadron at the Canadian Joint Training School, Rivers, Manitoba. The Auster Mk. 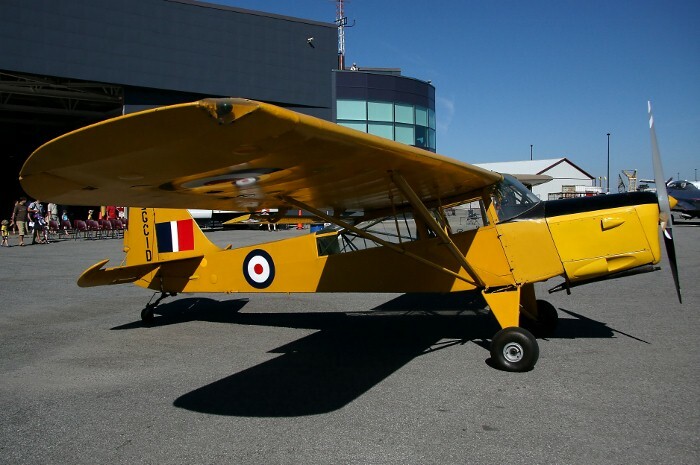 VI continued in service until the mid 1950s, when its AOP role was taken over by the Cessna L-19 Birddog. 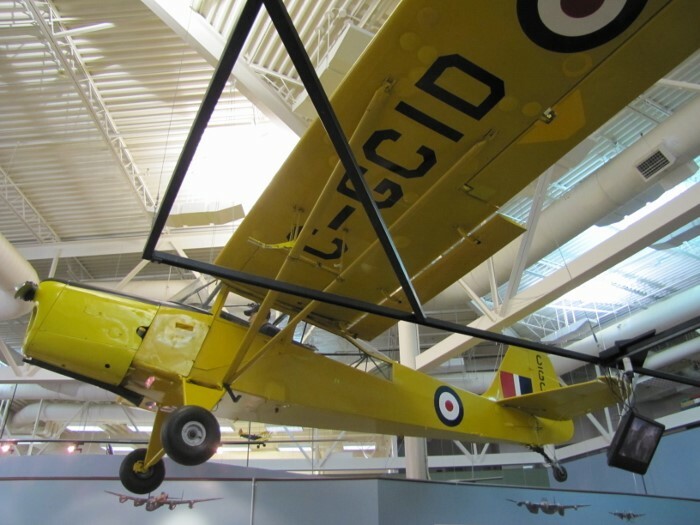 The Auster now hangs on display above the Museum's Gift Shop.